This tool is really an opportunity. It’s a prompt to get you thinking about your story and about how you might tell your story in an original way. John Truby says that the designing principle is stated in one line and is the “overall strategy for how you will tell your story.” It is the synthesizing idea, an internal logic that organizes the story into an organic whole. For Paula Munier, the designing principle is “the framework you use to tell your story.” It’s a little something extra. 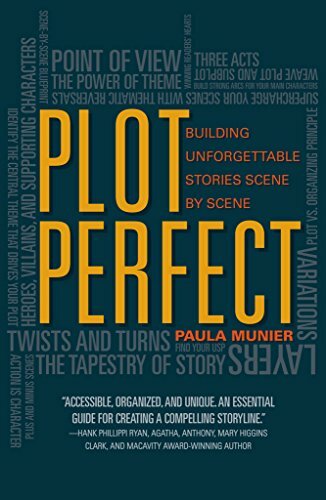 Peter Rubie says the designing principle (which he calls structure) is the most effective way to tell a particular story and to hold its various story elements together. For Ronald B. Tobias, the designing principle (which he calls strategy) “is a unified course of action that guides your decisions about what choices to make as a writer.” It is both map and journey. 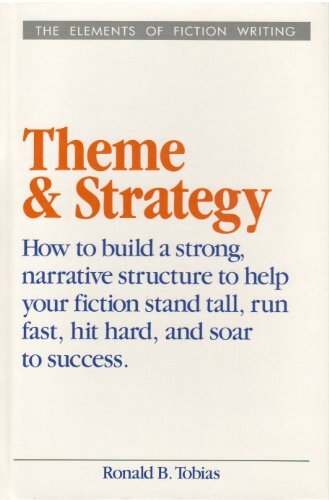 I personally like the term designing principle over narrative strategy because the former gets me thinking in loftier, more ambitious, and more creative ways. I think of designing principles as the most desirable subset of possible narrative strategies. OKAY, SO WHAT’S THE OPPORTUNITY? A designing principle can bring life to an otherwise lackluster story. It can elevate a story to a level greater than the sum of its parts. Further, it can provide a way of withholding information, thereby creating suspense and tension (and a page-turner) in ways that wouldn’t be possible if the story were told without a designing principle. Those last two count as narrative strategies, but for me, they don’t reach the level of designing principle unless you make a non-default choice, like second-person point-of-view. Anyway, these examples are just a glimpse of what’s possible. I’ve been collecting a list of examples of really clever designing principles, and I’ll post them on Wednesday when we look at how the master storytellers do it. GREAT, SO HOW DO I FIND MY DESIGNING PRINCIPLE? Theme: symbols, metaphors, quotes, etc. Timing: fininte time periods, non-linear telling, framing story, opening late and flashing back, etc. Method: source material, research material, the one-line synopsis itself, other types of media, other genres, point-of-view, etc. These, however, are in no way your only options. They’re just places to start. Dig deep. There is lots of fun and wow to be had here. Unfortunately this is all the direction I can give you. But this lack of direction is also what makes the designing principle tool so fabulous. It’s the uncertainty that provides the huge potential for greatness. That said, I am working on an update to this post. If you’d like to be notified when the update–including a designing principle worksheet–is done, click here to join the WritesWithTools.com newsletter. Upon joining, you’ll also receive a 19-page Character Development Workbook as a thank you. Mr. Tobias also warns us: “Don’t make the mistake of thinking that writing is simply an act of recording the details of what goes on in life.” Instead, take all of your raw material and shape it into something even more compelling than regular life. A designing principle is what helps you do this. Truby also notes that just because you tease the designing principle from the one-liner doesn’t mean that there is only one designing principle per idea that’s fixed or pre-determined. There are tons of designing principle options, and each comes with different possibilities and different problems, all of which are opportunities for originality. Don’t feel like your narrative strategy has to rise to the level of a designing principle. The designing principle is just a tool. 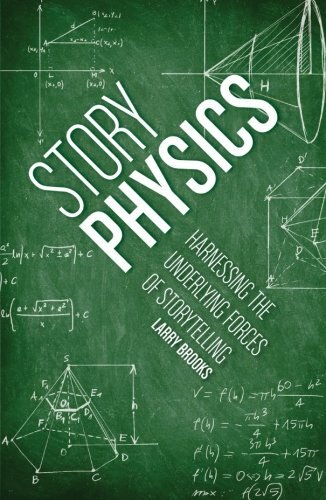 If a linear, past tense, third-person-omniscient point-of-view, though the most common narrative strategy, is the best strategy for your story, then that’s great. Go with it. The point isn’t to force a designing principle onto a story just to say that we applied the tool. The point is to think about all of the possible strategy options and pick the best one for your story, as opposed to not considering strategy at all and settling on a less effective one by default. Well, that’s it for me. What about you? What sorts of Designing Principles have you seen used–or have developed yourself? Tell us in the comments! We’ll look at some examples of how the pros put designing principle to work. Really helped. I was a bit confused after reading about the designing principle in John Truby’s The Anatomy of Story and this article was exactly what I needed to clear things up. Yay! I’m glad it helped.